What a weekend… I am a AFL fan but my team, the wonderful West Coast Eagles was denied one last chance of playing finals this year when Sydney rested Lance "Buddy" Franklin against Richmond. But when Buddy turned up to play on Friday night, North Melbourne had no answer so by a “country mile” Sydney dispatched the Roos and will be playing on the last Saturday in September. Saturday was a different type of game with Port Adelaide nearly rolling Hawthorn and going down gallantly by 3 points. However the effort to dispatch the South Aussies will cost Hawthorn dearly and I predict a Sydney win next week. 1. Don’t Follow the Leader. Sydney have invested in their Bondi Billionaires - Buddy and Kurt. When conventional wisdom says small forwards kick goals Sydney have 2 giants up front and to counter them the opposition must play a different game. 2. Have more than one plan for success. 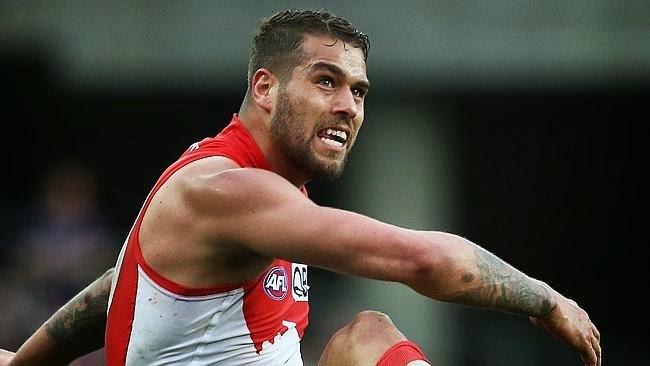 Sydney whipped North Melbourne because if Buddy wasn’t firing, Kurt could step in, and if that didn’t work, 350 game veteran Goodesie just popped up. So three super stars played for the team and the games was never in doubt. 3. Invest in the system. Sydney are paying there Bondi Billionaires bucket loads of cash and getting a return. In other teams, the stars are sharing their spoils with lesser lights and while everyone is being “buddy buddy”, the stars aren’t out to play. 4. Hawthorn and Sydney’s fans expect to win. So, expectation trumps want. Giving it a “good shot” won’t have you winning the battle for customers mind and wallet. when push comes to shove we want our best teams to win and out buying decisions to be backed up with superior service and product. 5. Be Constantly Checking the Score. Who won on the weekend?? Was it the team leading at half time?? Maybe but to lead at half time and not at full time, then you will have wasted all that effort. Port Adelaide got off to a flyer but keep missing the goals. They scored 9 minor scores in the first term and that ultimately cost them the game. When are you checking how well you are going in your marketing and selling?? I suggest you check more often. Alastair Clarkson, Hawthorn's coach changed his message to his team at quarter time, and the result was a win. Are you adjusting your game plan?? Here is a chance to get "ahead of the game." So, join me as I present the "learn, unlearn and relearn" seminar series on Marketing and Sales during October. You will be able to pivot for change join the ranks of the disruptors. When was the last time you received a TELEGRAM?